In the previous post, I alluded to Post Traumatic Stress Disorder as a significant factor in the development of Doctrine Over Person, contributing to the process of losing perspective of what is true and acceptable behavior when under the pressure of a manipulator or a closed system. To understand disruption of a healthy response to trauma, it's important to understand a bit of what's going on in the brain in response to an actual or perceived threat. 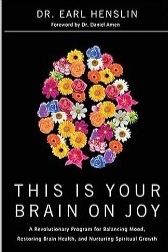 A good, basic Christian book which discusses different areas of the brain and their discrete functions is Earl Henslin's This is Your Brain On Joy: A Revolutionary Program for Balancing Mood, Restoring Brain Health, and Nurturing Spiritual Growth. Understanding more about what these separate brain areas do helps to demystify the trauma response. The brain is a complex organ of the body with several different sub-structures that govern different functions. 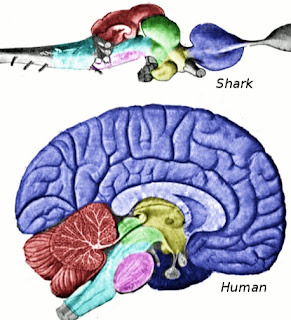 If you look at this picture of the human brain structures that are compared to that of the shark, notice the blue area. The “higher” brain functions of human beings (reason, anticipation of consequences, ethics, morals, finding meaning in living, etc.) all take place in the purplish blue area. 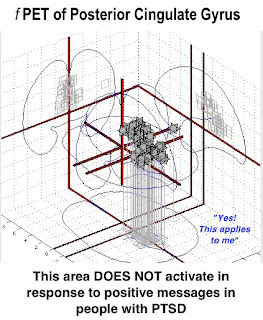 Beta waves which are associated with full consciousness in the adult are generated in the front part of the blue area of the brain (just above where the word “human” appears in the diagram). By comparison, sharks don't do too much of that, but most of their lives are consumed with pursuing prey for food, for example, and the tasks that are necessary for survival. Much less of their brain is devoted to higher level thought. For the sake of simplicity, think of everything that's not that purplish blue color in the brain as the the parts of the brain that involve the survival response. The lower you go (from top to bottom), the more basic the functions are, with breathing and heart rate control centered in the bottom of the brain (at the bulging area where the spinal cord meets the “brain stem,” those aqua and pink areas). In the middle, between the top and bottom (the yellow and green bits on the diagram), are the complex structures that govern the very automatic and non-rational survival response within the brain. When faced with a real or perceived threat, this middle part of the brain becomes very active, overrides everything instinctively, and takes control. Blood flow shunts away from the blue areas as the other structures kick into overdrive to save your life (as the rational part, the prefrontal cortex or PFC) becomes inhibited). Studies have shown that when a person has not had childhood trauma and when they are able to respond to the threat which results in the avoidance of harm, when the threat resolves, all parts of the brain go back to a healthy baseline within a short period. The system effectively did exactly what it is meant to do. For a short time during and immediately after this exciting and very emotional process takes place as part of the brain and body's survival system, when it kicks in, it alters consciousness, and rational thought actually becomes suppressed somewhat. People tend to do super-human acts under such circumstances, and their agility and responses become heightened, creating the energy and raw emotion needed for survival. If the person waited to think about a response, they'd never survive certain threats because it would take too long. This is a very instantaneous physiologic response and it is automatic or instinctive. 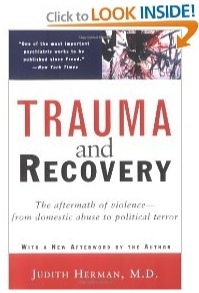 From the study of trauma, it is known that more people who are not able to avoid harm in response to trauma tend to develop a chronic problem with PTSD, a condition where this survival system remains on active alert for threats and “runs in the background,” despite the fact that the conditions of the original threat are no longer in place. The switch to the whole system gets physiologically stuck in the “On” position, remaining prepared for additional threats. 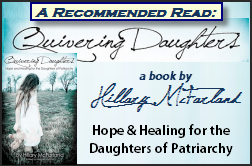 The other primary population of people whose survival system tends to remain active includes adults who suffered trauma when they were children, perhaps having never adequately healed from their earlier experience. Any experience that remotely reminds these folks of the previous trauma including subtle conditions or memories related to the event will cause the system to turn on and go into overdrive, just as if the original threatening situation was taking place all over again. These triggers may not seem rational, and triggers can even include things like a faint smell in the air which triggers a related memory having nothing to do with the trauma. (Read more HERE about reverberating circuits of memory.) 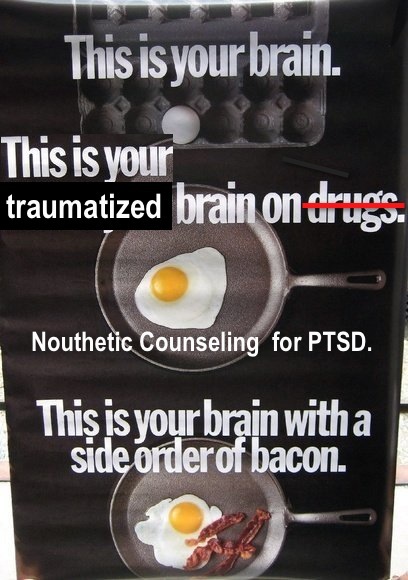 Those long lasting PTSD survival response is neither helpful nor productive, and it causes other parts of the brain to basically wall themselves off from one another creating a very predictable set of responses. In ineffective trauma processing, the activation stops in the amygdala, and never progresses for processing by the basal ganglia, causing the constant activation of the system. 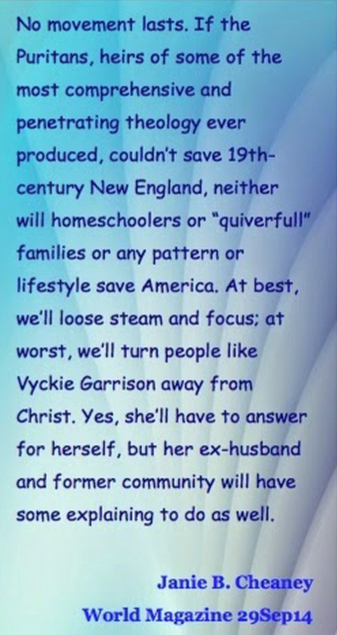 Susan Grotte describes a vivid PTSD trigger in this post, a trigger related to being beaten on the floor of the “blue room” at Hephzibah House. These types of vivid, detailed, intrusive, traumatic memories that feel like they are still ongoing (what some call “flashbacks”) are a core symptom of PTSD. One of the other features mentioned by Dr. Boriskin in this video (also in the previous post) concerns dissociation. Part of what the brain does to allow us to do things to help us survives involves the creation of a sense of distance from the event, and this is also governed by that non-rational area of the brain. This sense of distance can be mild which is experienced as a feeling that things are not real. A greater degree of it might make someone feel “tunnel vision” or a blanking out of everything else going on around them, except for the threat. If the mind copes by creating a greater distance between the person's consciousness and the threat, a they may feel like they left their body, and some people will describe very traumatic events as though they are watching themselves in a scene from a distance, the brain's creative way of putting more safe distance between consciousness and the threatening experience. It allows people to function to survive. In a healthy response to trauma, the dissociative symptoms resolve quickly, most definitely within six months. After a trauma, if it is disturbing enough, a greater degree of distance between the event and consciousness can manifest as amnesia, as the brain and the structures in the brain create a barrier of protection around the memory or fail to store it altogether. This is governed by the hormones released in the brain at the time of the event in many cases., and the structure which converts experiences into long term memory (the hippocampus) can actually be altered (through interrupted development or atrophy) by trauma, depression, and some more severe mental illnesses. Dissociative Identity Disorder (what people used to call multiple personality disorder) is the most rare and maladaptive form of dissociation, the extreme of the expression of a survival response which generally develops in cases of chronic trauma (abuse) in childhood. 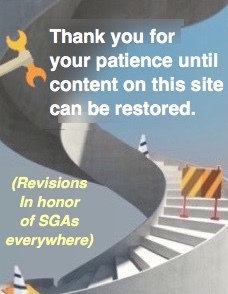 The problem with many well meaning people concerning this failure of the survival response to shut down is the idea that PTSD is a rational process of thought that can be overcome by spiritual warfare or thinking good things or through forgiveness. For the person who gets stuck in this syndrome of survival and perceived threat, these measures actually make things worse. Some Christians see PTSD and chronic problems related to suffered loss or pain as sinful self-indulgence, when what we can now observe through brain imaging and what we know from treatment and healing of the condition, this id of rational though has nothing to do with the process. Based on both practical findings in working with PTSD patients and based upon what can now be discerned through brain imaging by following patients through recovery with neuroimaging, we've learned a great deal about the experience and effective treatment of the disorder. People in PTSD tend to feel isolated and pessimistic about the future, in addition to remaining on alert to threat, a response called hypervigilance. This physiologic response reduces critical thinking in response to a trauma trigger, and affected individuals also have difficulty concentrating in general because the survival centers in the brain remain overactive (so they make fewer Beta waves on EEG). And, according to researcher, Bessel Van der Kolk, MD, a particular part of the brain also shuts down, as though it is not even there. There is a region in the brain in the area of the posterior cingulate gyrus (PCG) that activates which allows a person to realize “Yes! This statement refers to me.” That ability to realize that things relate to the self is governed and located in this particular region of the brain. It allows us to identify with certain ideas that pertain to us and is a very active part of experiencing empathy and compassion. When active, this area of the brain experiences more blood flow and metabolism which can be detected and monitored with SPECT neural imaging. In people with PTSD, when a person is told positive messages of encouragement, instead of the brain recognizing those positive messages as pertaining to them which would result in lots of activity on the scan of the brain as this area responds to those messages, this area of the brain shuts down. During SPECT or f PET scans, this area of the brain lies dormant. When “Biblical” counselors come to a person who is in PTSD and they state the laundry list of typical encouraging statements, the person suffering from PTSD cannot identify those statements and truths as being applicable to them. They probably apply to everyone else, and they may be true for everyone else, but the person affected by PTSD cannot understand on a personal level that these statements apply to them, too. For those who heal, I think it's nothing short of miraculous because of this physical block in the process of understanding. But remember that PTSD is not about what is rational but what will ensure survival in the immediate sense. 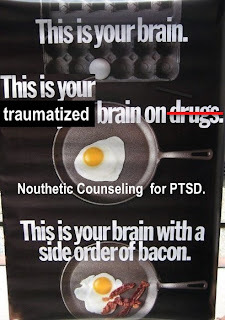 When a Nouthetic Counselor comes to a person with PTSD and lists the typical laundry list of trustworthy Scriptures about how much God loves them, how precious they are, how God's plans for them are good and not evil, that God offers rich benefits of healing and reward for those who love Him and that He cares for his wounded and precious lambs, the person with PTSD sees these statements and ideas as having nothing to do with them. Physiologically, their brain prevents them from really comprehending and certainly from identifying with those statements. What is rather curious is that when people with PTSD who are hypervigilant concerning perceived threat, when they are told positive statements, rather than producing reassurance, in many cases and in some studies, the areas that govern a response to threat and aggression become active. That stress response also works to diminish activity in the front of the brain – that rational, Beta wave-making part of the brain. 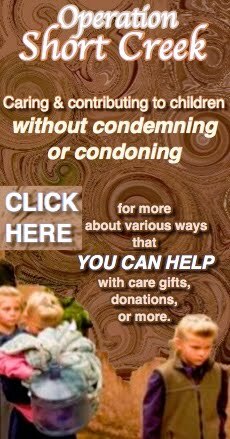 So rather than causing a person to be at ease, to be more positive about how God sees them, and to shift into a healthier perspective that is more optimistic, this type of counsel does little to help the person and may actually make them feel much worse and sense that they are under an additional threat. Their skepticism is not due to prejudice, lack of effort, or even poor moral fiber on their part, it is a physical response that is meant to help them survive a perceived threat. There are are many things that can be done to treat PTSD that can allow for the positive encouragement of effective Biblical Counseling to get through to a person suffering from PTSD after they've purged the sense of threat through desensitization and reprocessing. That involves walking through the trauma with what Dr. Judith Herman describes as a witness and an ally who is experienced in dealing with complex trauma, or perhaps just a friend who is willing to tolerate the process of supporting their loved one in an effective way that helps them move through the experience. Somatic therapy and reconnecting with the feelings in the body that the mind suppresses is very helpful, as is physical activity, and other targeted therapies for trauma like Eye Movement Desensitization and Reprocessing all of which cause a reflexive calming of the survival centers in the brain which brings them back ito balance and health. Antidepressants can be moderately helpful but offer no cure. As Van der Kolk phrases it, antidepressants “shorten the fuse” of a person's negative reactions and frustration, but they are not curative. They can be helpful for clients while they are working toward healing the root of the problem, that overactive survival system which needs to be soothed and restored to normal function. Oddly enough, PTSD works to protect a person from feeling overwhelmed by their trauma by avoidance, but focus on working through the specific feelings and emotions of the trauma unlocks the power of the disorder (what a nouthetic counselor might consider “dwelling on the past in bitterness”). The trauma response makes a person numb through dissociation, but healing begins with facing, feeling, and moving through suppressed memories of the event. In a safe environment with a safe person who coaches and encourages them, the traumatized person can face what they have been overwhelmed by and threatened by in their minds to find complete healing. What Happens in Doctrine Over Person? 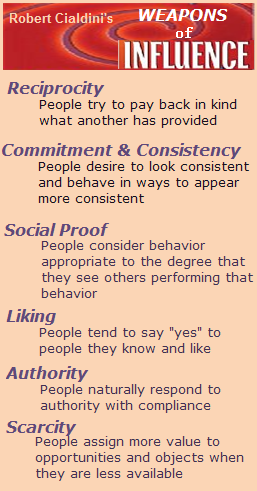 When people submit to high demand groups that manipulate members through overt authoritarian control, as we've learned in previous posts, they are forced into a double bind situation where they must be honest at all costs, but also affirm the virtue of the leader and the system. 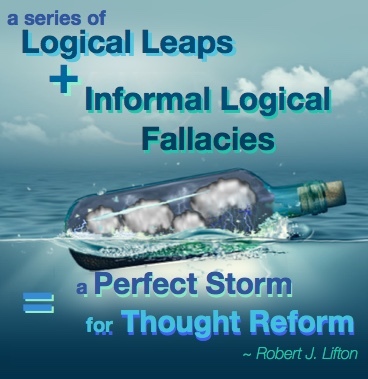 They end up suppressing their own critical thoughts and adapt their personalities to meet the demands of the group. People in spiritually abusive settings and those who exit those systems exhibit a very high degree of dissociation, as the suppression of their natural responses and personality does pose a significant type of psychological trauma. It is a method of adapting and coping with the pressures placed upon them by the group system under thought reform. How much more would a resident at Hephzibah House be subject to dissociation symptoms if beatings, starvation, very limited protein intake, and isolation adds to the intense psychological degradation that they endure there? Difficulties experienced after leaving such a situation typify trauma and are not a matter of forgiveness or a spiritual problem. Because of the prolonged and intense program of thought reform imposed at Hephzibah House, the problems experienced when one leaves become predominantly physical. Van der Kolk B. The body keeps score: memory and the evolving psychobiology of post traumatic stress. Harv Rev Psychiatry. 1994 Jan-Feb; 1(5):253-65. 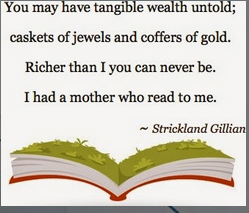 And the references noted under this previous blog post!